Large shrub banksia growing about 15' x 12' across if allowed! 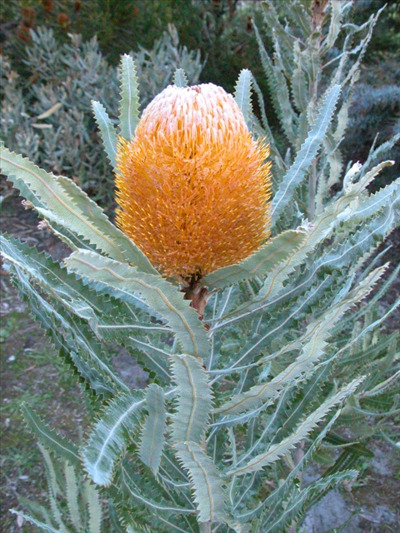 The leaves and shape of the flowerhead are similar to Banksia menziesii but the flower colour is a beautiful orange. This is a new introduction to the US. Excellent cut flower and ornamental shrub.